This is a sweet memory from the early part of 2013 when the weather was chilly and my little Ellie was still little and loved to be worn! It was such a brisk day as we enjoyed window shopping and walking down Germantown Ave in Chestnut Hill. A little while after this we stopped in Iron Hill Brewery for a bite to eat. 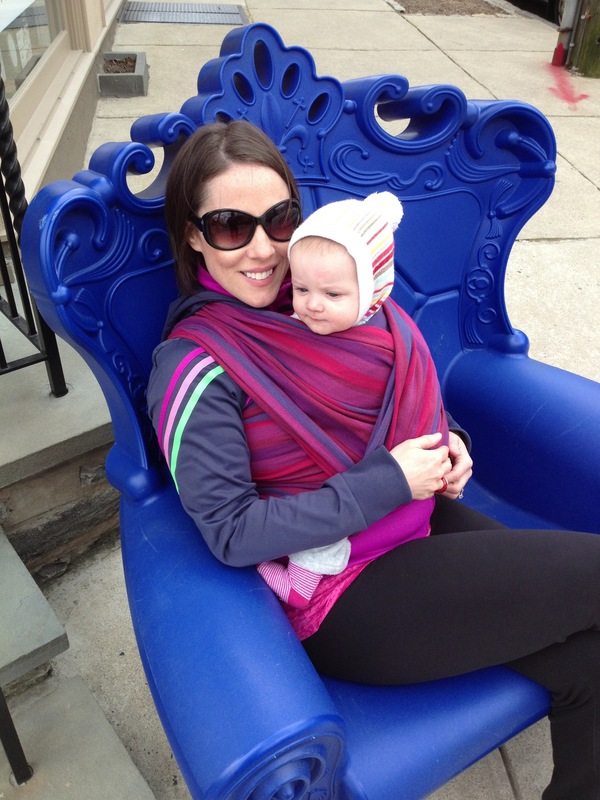 =) This was before the days of Where We Wear, could I resist a babywearing photo in this fabulous blue chair? !